Well the curtains are up, the battleground is set, the players are ready, the only thing left is the referee to blow the whistle. And now we the audience are ready to see some fierce competition & who takes the first prize. Now don’t be confused its not the Common Wealth games that I am talking about here. LOL! The big day has finally arrived when India takes another leap towards advancement in telecommunications. The big day for introduction of 3G technology has arrived and the players are all ready to perform for a grand performance. Now introducing the two players among the rest Tata Docomo and Airtel. So what have we learnt from the past few days. To start off with lets talk about Tata Docomo, its the youngest operator in town better known as the “innovator” . The most innovative operator in India I would say. Its the only company which took a step further and started interacting with customers beyond the digital media. With social websites booming the internet world this new born baby left no leaf unturned to catch up with the customer trend. Coming back to Airtel. Its better to address it as the dad of cellular business. Well better would be it to call the “leader” . Leader of the pack. The most trusted brand having a population of more than 110 million satisfied customers in its kitty. This is the second operator who woke up with the 3G news following the innovator. In detail Tata Docomo and Airtel were expected to be the 2 companies who would like to be seen as the leaders in 3G in India. Airtel by virtue of being the “leading” operator and Tata DOCOMO because of the NTT Dococmo pedigree. 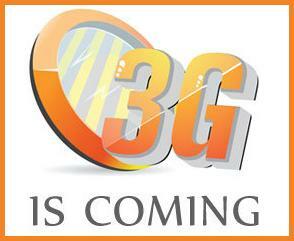 We have been hearing rumors about both companies trying to be the first to launch 3G services. However we were taken by surprise (and looks like Airtel too) when Tata DOCOMO announced on Facebook and Twitter the launch of its 3G services. This was followed by a TV ad that hit all channels. Subsequently press releases were sent out by Tata DOCOMO confirming a Diwali launch. 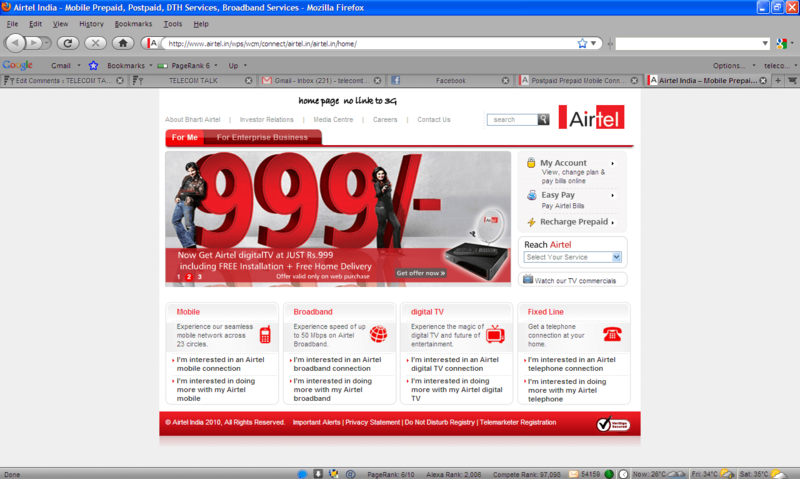 All this while there was no official communication from Airtel. 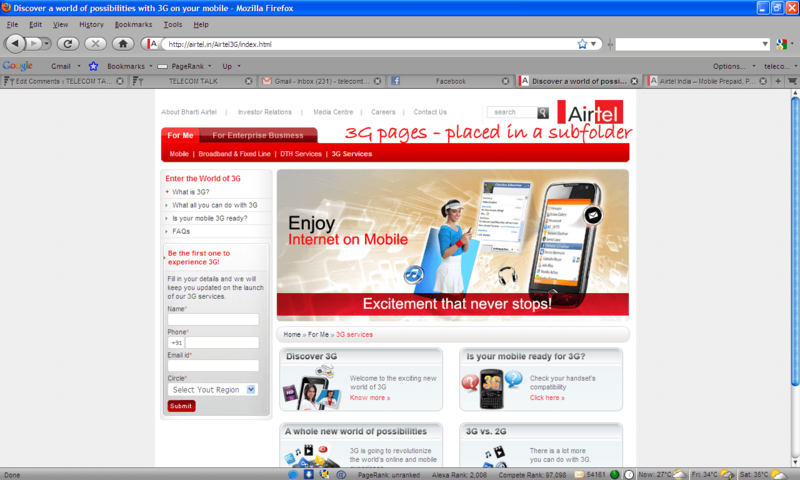 When TelecomTalk became the first portal to break news of Tata DOCOMO’s announcement the link to pages on Airtel’s website were posted almost to make it appear that they too are ready for 3G launch. However on careful analysis it looks clear that Airtel was caught off guard and is now desperately trying to recover from this first blow. 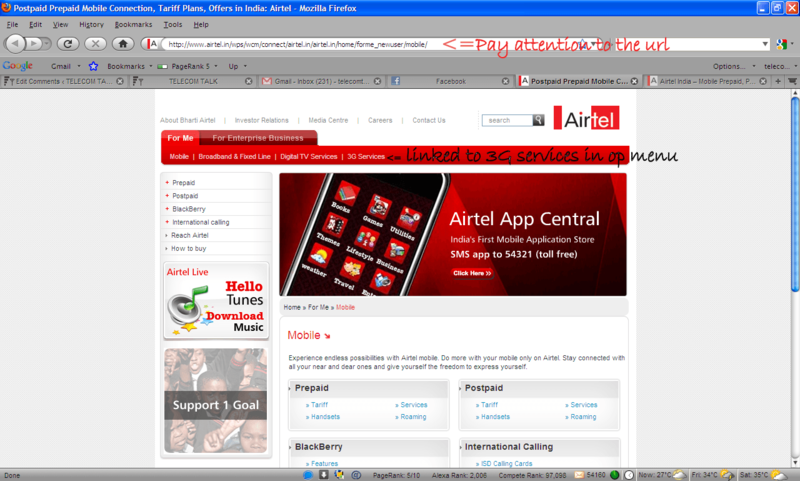 The day the link to the Airtel web site pages were released we saw that the pages were not linked from any visible public URL. The pages were static html pages (which they still are as we write) where as the rest of their site seems to run on a different platform (possibly a CMS). Within a couple of days of this “leak” the pages were hurriedly linked form inner pages of the main site but the landing page of the consumer section still did not have a link to these pages. On the other hand Tata DOCOMO has been aggressive in promoting its 3G Life platform. We have picked up indications that apart from the current massive Facebook campaign and TV ad they are ready to go big on promoting 3G online in the next few days. Tata DOCOMO has always been a pioneer in the use of digital media and social media and other telecom operators have had a hard time keeping pace with them. Looks like on 3G again Tata DOCOMO has drawn first blood with a well coordinated launch strategy that Airel will find hard to keep pace with. Interestingly the #3GLife hastag is already getting popular on Twitter. Next one month looks like a lot of fun watching the battle between the “innovator” and the “leader”. Now get hold of some popcorn, sit back, relax and enjoy the game. So whose team are you going to cheer for? Buzz us with your choice. The smartest thing TATA did was to tie up with DOCOMO from Japan as with SKY UK for digital TV. Nobody in the world can match the strategies of DOCOMO as it is evident with our TATA DOCOMO. With Tata’s recent ‘AAM AADHMI’ strategy, no one can stand in their way to the top. Hats off Ratan. The Netwrk must be improved before 3G ! Think netwrk is more important than all ths stuff !